Funny thing about “Hope”. It is both fragile beyond imagining yet often has tenacity and strength, seemingly unbelievable. Perhaps an analogy made with a puffball, to enlighten. A Wish upon a puffball – one single little seed! Fingers carefully grasped the fragile puffball’s stem, not wanting to disturb ethereal seeds too soon. My wish might not be heard, but blown away. 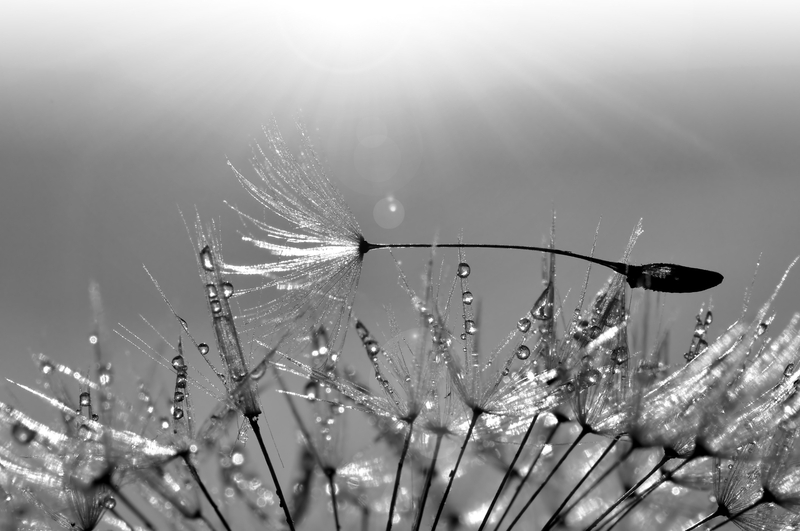 Wish made, I blew gently, scattering fair dandelion seeds upon moist morning breezes. Wishful thinking indeed for hopes to be realized, yet all that’s needed for the puffball is but a single seed. A lone survivor tossed in the unpredictable winds of nature. Only takes one … one seed to reach the earth for regrowth and fruition. And so it is with hope – a seed of potential and possibility, cast upon the winds of fortune. May our hopes, dreams and wishes reach fruition. All that is needed is one single seed! This is the Haven of Haibun, Consider it a home away from home for haibun writers/readers. If you would like to have one of your previously published or posted haibun or haiku reposted here, please let me know in the comment section. I would enjoy displaying your work for you! Be An Artist with Your Words!